Eco-Friendly Enter your zip code here La battery power saved on 300+ millon cell phones when using UC Browser equal acres of forests that would otherwise be burnt for energy generation. 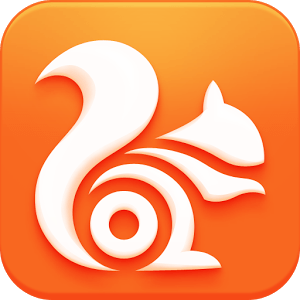 First download (UC Browser) is for Android devices in general and comes with the U3 kernel. Second download (Tablets HD) is designed for Android tablets such as Nexus, Galaxy Tab, Transformer Pad, Kindle fire and more with Android 2.3 and above. Third download (UC Browser Mini) is for Android 1.5 and above. Forth download (UC Browser Small) is the same as the third but for devices with smaller screens - 320x240 pixels or below. For faster browsing with less data usage, there’s Speed Mode. Speed Mode compresses webpages, making their size much smaller, saving you big on time and data usage. For a different way to enter URLs, there’s the QR Code Scanner. Using your phone’s camera, the QR Code Scanner can read a QR code and instantly take you to its URL. For a convenient new way to scroll a page, there’s the ability to use your phone’s volume buttons to navigate up and down webpages. For access to your favorite websites fast, there’s the ability to create shortcuts on the home screen, so you can get to your favorite content with just one click. Clean Yet Complete UI - Redesigned navigation page and simplified settings. Intuitive Tab Management - Intuitive and dynamic gesture control for managing tabs. FB Faster Add-on - Enjoy the fastest Facebook browsing with the FB Faster add-on. Custom Themes - Decorate your browser with themes and wallpapers from the UC Theme Center, or use your own pictures. Control Videos with Gestures - Volume, brightness, progress, etc. can all be controlled by gestures. Custom Themes - Visit the UC Theme Center or use your own pictures to customize your browser.